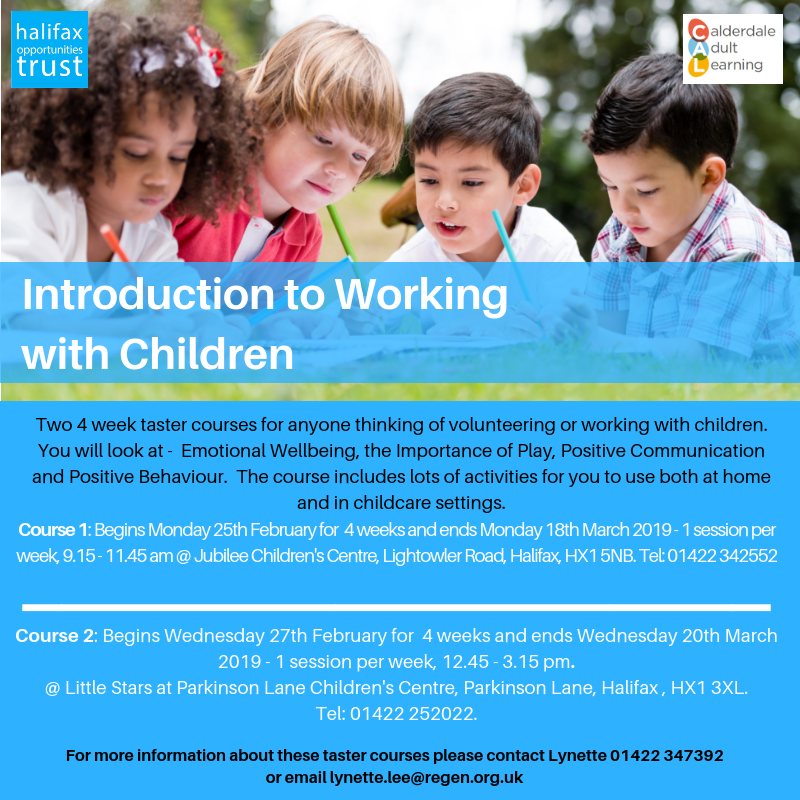 Course 1 begins on Monday 25 February, 9:15am-11:15am at Jubilee Children’s Centre, Lightowler Road, Halifax HX1 5NB. Course 2 begins Wednesday 27 February, 12:45pm-3:15pm at Parkinson Lane Children’s Centre, Parkinson Lane, Halifax HX1 3XL. For more information and to book a place call Lynette on 01422 347392 or email linette.lee@regen.org.uk.